Providing healthy relationship & marriage education to promote family well-being. LIFT is a FREE program through Family Guidance Center of Alabama and a partnership with the Alabama Community Healthy Marriage Initiative (AHMREI). LIFT provides relationship and marriage education and real-world skills through fun, distinctive workshops, information & referral services, on-going support, and the LIFT library. LIFT has programs for adults and teens. Premarital couples, married couples,non-married parents, stepfamilies, and youth can all enjoy the benefits of LIFT workshops. "Funding for this project was provided by theUnited States Department of Health and Human Services, Administration for Children and Families, Grant: # 90FM0082. These services are available to all eligible persons, regardless of race, gender, age, disability, or religion." 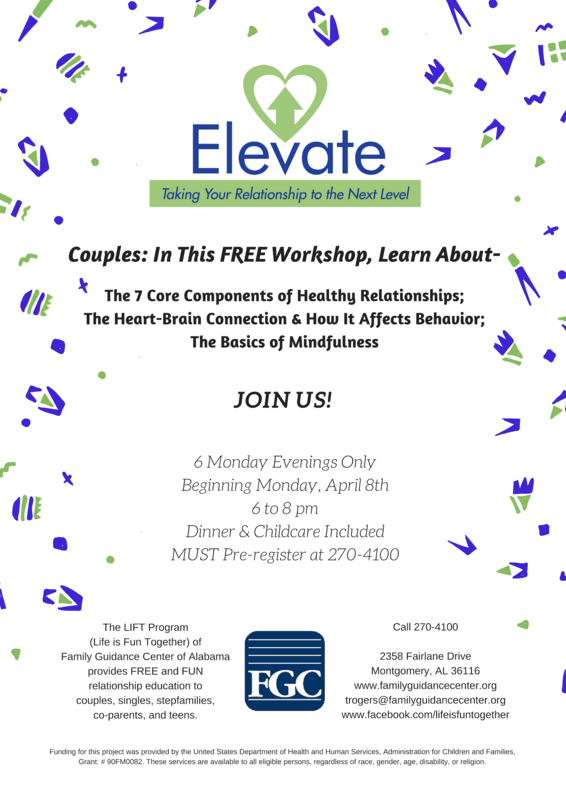 ELEVATE is a brand new couples education program that blends 7 practical skills with an understanding of the physiology of human interaction (the heart-brain-behavior connection). Get skills to help manage stress and reduce conflict. Learn how to relax, get to know each other more deeply, and make your relationship something you look forward to every day! 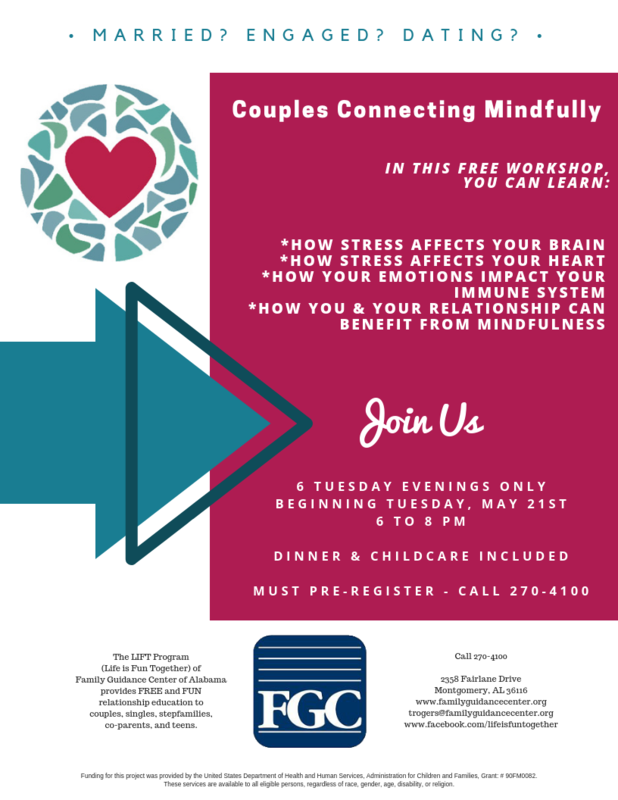 Couples Connecting Mindfully (CCM) is an interactive, evidence-informed curriculum for couples that emphasizes stress management, emotion regulation, mindfulness-based stress reduction skills, and other key relationship skills. Parenting and financial management strategies are also included. 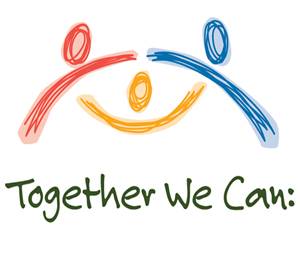 Together We Can is a helpful program for anyone in a co-parenting relationship. Participants learn how to parent together with someone else- a friend, relative, or former romantic partner. Individuals will have the opportunity to make a scrapbook for their child (or children) while brushing up on other skills they will pass on to them, such as communication, how to manage conflict, and how to manage money . Smart Steps for Stepfamilies was created for couples where at least one partner is not the biological parent of at least one child in the family. This curriculum is useful for all stepfamily couples regardless of whether the couple is married. A children's component is often available.